The general consensus among scientists is that around 70-90% of the world’s population are right handed. Applying this to football, and maintaining that ratio for left feet, highlights what a rare commodity a good ‘lefty’ is. Football tactics are often about symmetry and while that might be an overrated concept, if you can get the number of left and right footers bang on, a balanced team will ensue. It doesn’t always guarantee success, but finding a good left sided player is always a good thing. Whilst not quite striking the rich vein that Belgium have hit of late, Switzerland can be very happy with the progress of some of their younger footballers. We all now know about Xherdan Shaqiri and the group that won the Under 19 World Cup in 2009 featured some very good kids, with Granit Xhaka and Nassim Ben Khalifa perhaps the stand out attacking players. Said attacking players often get the headlines, but that shouldn’t detract from the impressive progress made by another member of that triumphant squad; left footed defender Ricardo Rodríguez. Born in Zurich in 1992, Rodríguez was schooled as a junior at the highly regarded FC Schwamendingen before moving to FC Zurich on schoolboy and ultimately professional terms. He made his Swiss Super League debut at the end of the 2009-10 season coming on as a substitute for veteran Finnish defender Hannu Tihinen in a 2-0 win over Bellinzona. The 17 year old full back impressed over the coming weeks and soon secured a regular starting position for the club. Over the next two years, Rodríguez would begin to steadily increase the number of appearance he made for his home town club and quickly ascended from junior to full international level, making his debut in 2011 for Switzerland in a friendly against the Netherlands. An impressive series of performances during the first half of 2011-12 were enough to persuade Wolfsburg to pay over €7m for the young full back. Despite Rodríguez’ tender years, Felix Magath made the youngster a first choice for his team following the move and he would become a regular starter as Die Wölfe maintained a respectable mid table position in the Bundesliga. 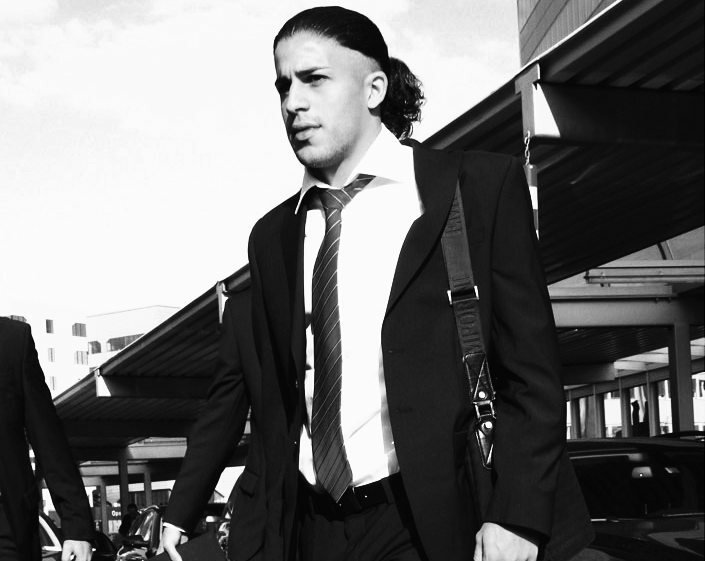 2012-13 did not start well for Magath’s team and when the somewhat dictatorial coach was relieved of his duties in late October, one of the first players to be culled by from the Wolfsburg starting eleven was one of Felix’s favourites, Ricardo Rodríguez. Recently caretaker boss Lorenz-Günther Köstner has steered his ship through the seemingly regular choppy waters that Wolfsburg face and with experienced defender Marcel Schäfer playing well at left back, Rodríguez has become a victim of Magath’s ill-fated second coming. Over the rest of the season, Rodríguez is likely to be utilised from time to time at the Volkswagen Arena, but his inexperience has worked against him at a time when Wolfsburg desperately required results. The reason that we picked up on the whole ‘left-footed’ thing is because it looks as if Rodríguez has enjoyed something of a charmed life so far. Whilst not sluggish, he is not the fastest footballer you will ever see, and pretty much every box that you could complete would point to an overly average player. He did look good in the Swiss League, hence his inclusion, but we didn’t pick up on anything in the Bundesliga to suggest that a really good player is going to emerge. In early November we were extremely surprised to read in a number of newspapers and spurious transfer frothing websites that Rodríguez had been monitored by Milan and both the Manchester clubs, while also being identified as a long term replacement for Ashley Cole at Chelsea. All this just days after he was dropped at Wolfsburg. Were we looking at the same player? Ricardo Rodríguez is still an international footballer, and can still make use of a decent left foot, but we remain unconvinced that he is anything above average.